With the Davoli series Italian design & American craftsmanship combine to create a fully coordinated look for the kitchen. Find kitchen & prep/bar faucets, water dispensers, air gaps, soap dispensers and activation switch for the garbage disposer. Davoli is one of the many captivating costal towns along the Ionian Sea. Its origins extend to medieval times. 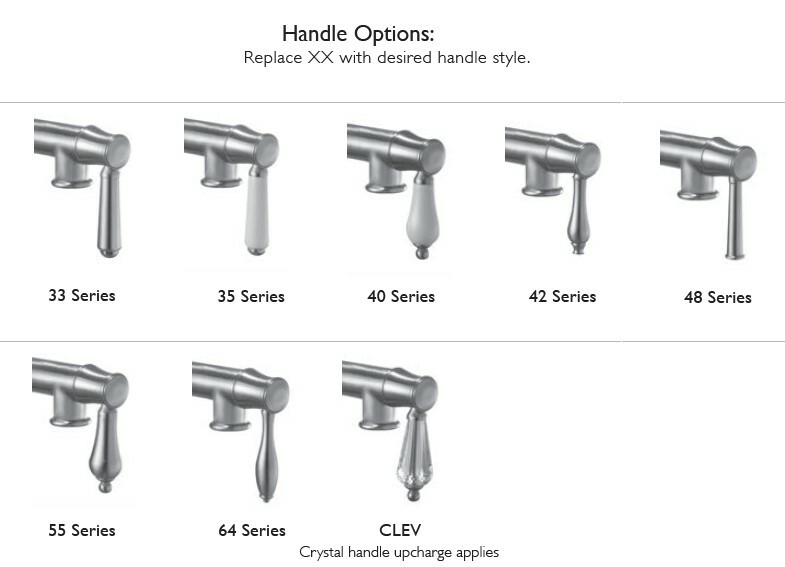 No wonder that California Faucets Davoli Series has a look that's solid, traditional and as timeless as antiquity. 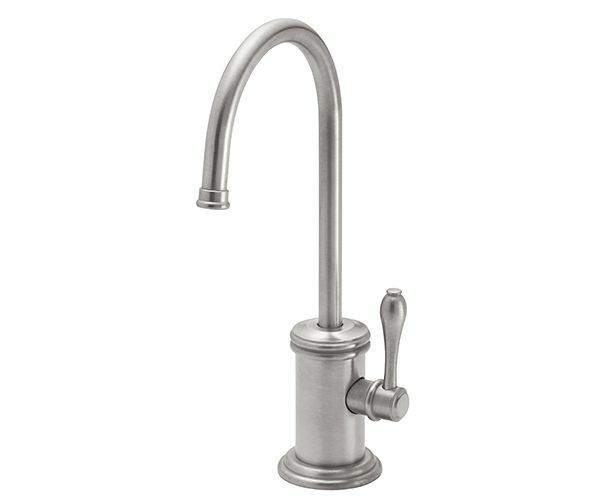 Davoli kitchen faucet comes in two version: High Spout (18 9/16" tall) & Low Spout (16"). 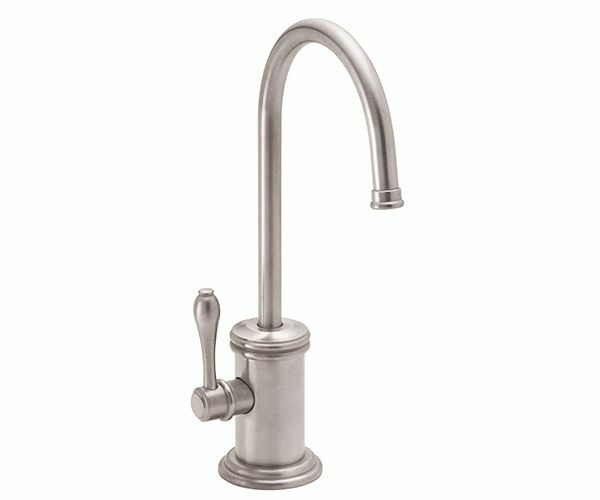 Handcrafted with California Faucets' signature solid brass construction and includes pull-down spray spouts that toggle seamlessly back and forth between stream or spray. All spouts also swivel 360 degrees for maximum reach and flexibility. 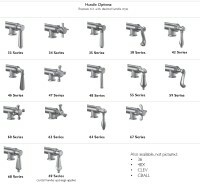 Choose from multiple handle options and more than 30 finishes, including 15 PVD finishes that come with a lifetime warranty against tarnishing. That's important considering that your kitchen faucet is used dozens of times a day. 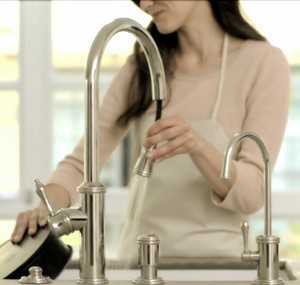 All the quality features of the Davoli kitchen faucet in a more compact form. The perfect size for a prep or bar area. 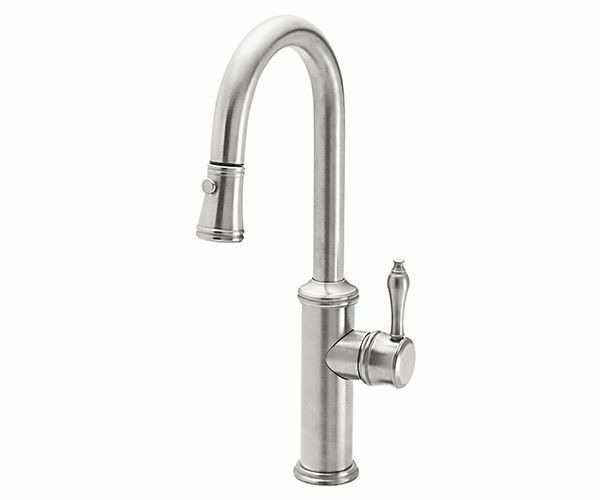 - Overall spout height 10-1/4"
Davoli pot filler has dual joints so it will fold out of the way when not in use. When it is in use it will easily fill stock pots, water bottles, vases and provide a second source of water in the kitchen. 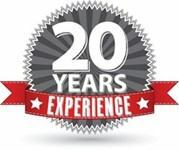 The Davoli series is available with a full range of matching accessories, including hot water dispensers, cold filtered water dispensers, soap dispensers, air gaps, and air activation switches for the garbage disposer. 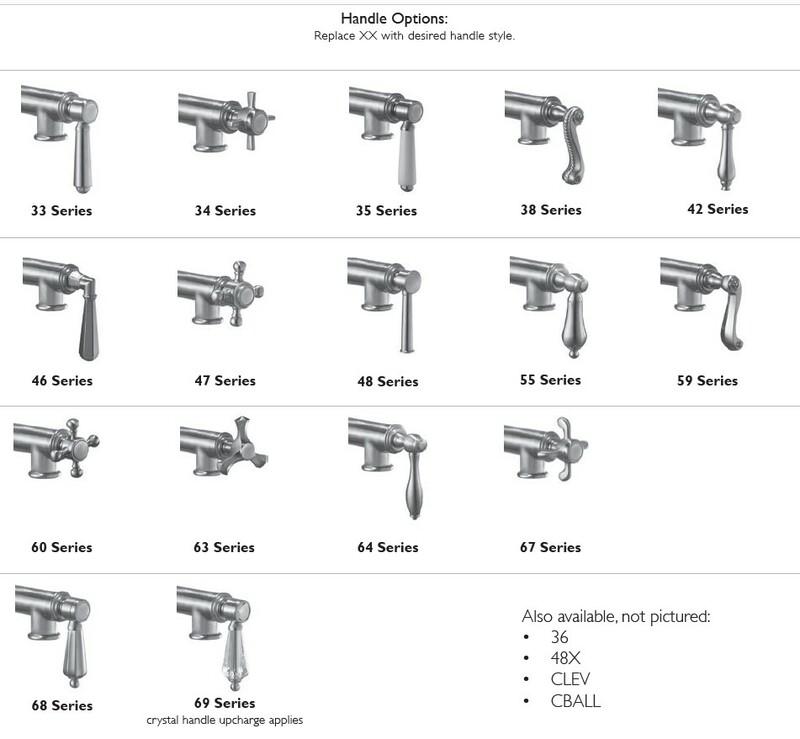 Unlike most kitchen faucets, California Faucets ensembles allow you to create a fully coordinated look.